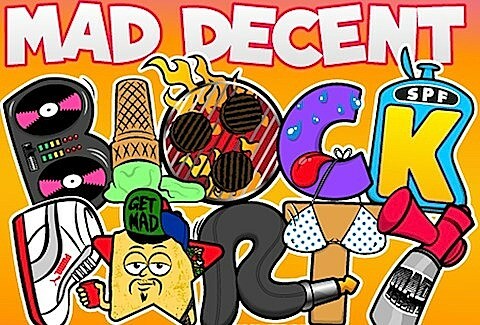 As mentioned, the Mad Decent Block Parties are returning to select cities next month and will make a stop in Chicago on August 18. We now know that it will be happening from noon–10PM that day on W. Fulton St. between N. Ashland Ave. & N. Justine St., right next to the Cobra Lounge. Though a specific list of artists have not yet been revealed for the Chicago block party, the overall lineup includes Major Lazer, Action Bronson, Mr. Muthafuckin’ eXquire, Spaceghostpurrp, Lunice, Jacques Greene, Casey Veggies, BADBADNOTGOOD, Baauer, Jim-E Stack, Bosco Delrey, Three Loco, and more. Flosstradamus were originally included in the lineup, but have been told by the Chicago Police Department that their headlining set at West Fest almost caused a riot so they have removed the duo from the block party. We were in attendance but admittedly were over at the main stage watching the Black Lips at that time. We did however exit the festival near Floss’ stage, WHILE they were still playing, but did not see anything too crazy. Bummer. RSVP for the event is still open. Stay tuned for the full Chicago lineup.